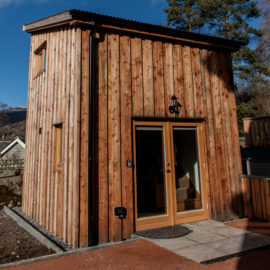 Scenic self-catering log cabin accommodation in the Cairngorm village of Braemar. Our three outdoor mountain stores are located in Braemar, Ballater and Aviemore, either side of the Cairngorm National Park. 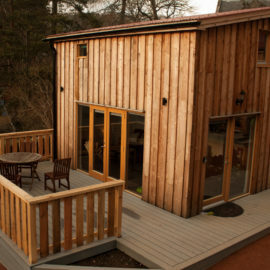 The Bothy offers fantastic home baking and fresh coffee and has a river side deck with mountain views for sunny days. 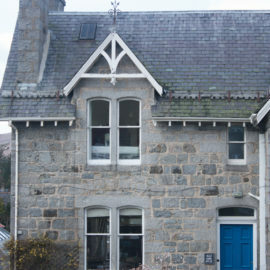 The Bothy is in the centre of Ballater with a welcoming log burner for chilly days and a great selection of home baking. Lovely little cabin, that is absolutely ideal for two people. Easy to find, just off the intersection of the two main roads through Braemar, right next to their other two businesses. It was almost brand new when we arrived, only been finished a few weeks, but no issues with the place at all. Bright, clean, modern and in a great location right next to a few shops, restaurant, cafe, a chippy and somewhere to have a drink, as well as having the river right behind. 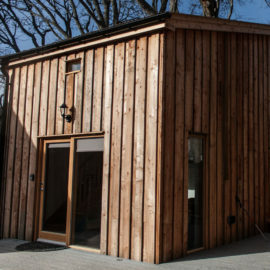 Beautifully appointed and accessible cabins right in the heart of Royal Deeside. Accessibility features (wheelchair space, wetroom, stair lift etc) are well thought out but subtle. If you don't need them, you'll not notice them. Surrounding area is lovely with plenty to do and great options for food. Local supermarket for stocking up. Breakfast at The Bothy a must. 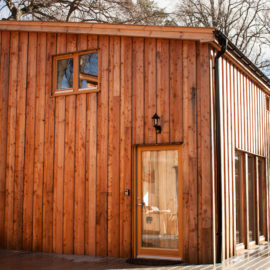 Had a fantastic stay at the Braemar cabins - cabins are furnished to a high quality and it is situated in a lovely location. The Cairngorms are stunning and would not hesitate to recommend them for your holiday.